7 Thoughts on patents, copyright and promoting progress of science and the useful arts. the exclusive Right to their respective Writings and Discoveries. Hi there, I'm MrCopilot. I develop solutions, usually involving a general purpose computer and some clever arrangements of words and numbers. I am a product of the digital age, I grew up with technology in an era when it was just peeking its head into homes and business. I recall the brief flirtations with red LED watches, laser discs, the advent of the home computing, networking, email, 300 baud BBS ..., and on through to the present day where everyone is interconnected by multiple devices per person. I have come to understand a few things that are seemingly nonobvious to the major players in the information technology industry based on the current court dockets. 1) Software is already covered by Copyright law. Program = collection of words, numbers and symbols. Book = collection of words, numbers, and symbols. 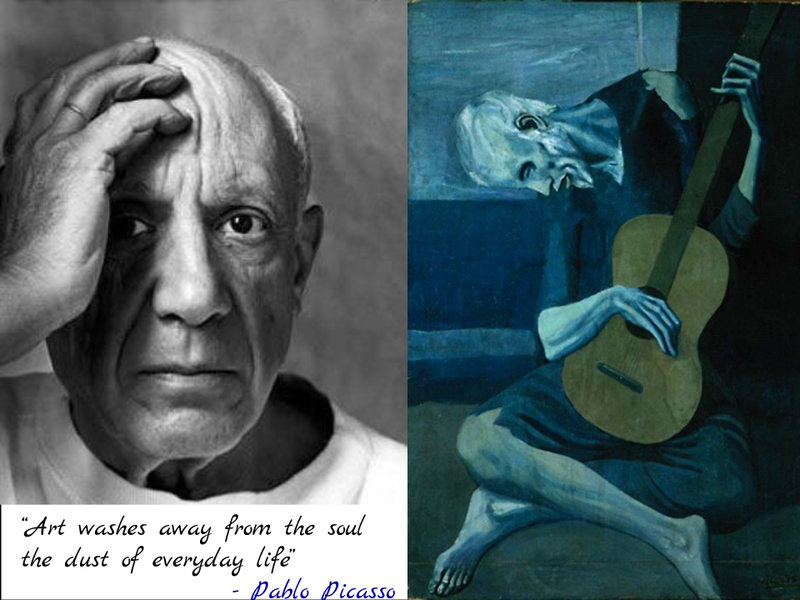 Both offer the Author protection for his "writings" as defined above. Many tend to depend on that protection in the free software and open source world that I prefer to live in, and many more depend on it in the closed source world that I tend to not visit often. It needs no further protection. You can't use it unless I give you permission. Feel free to implement your own version or licence it under my terms. 2) No piece or collection of software is an invention. It is software. It is writings, it is math, it is function. That interpretation immediately precludes the issuance of any Software Patent. Unfortunately, that interpretation has not been the prevailing one by those in charge of issuance. Consequently we have battles in courts across the country about whether a programmer can develop utilizing in-app payments, device manufacturers having to change software because it allows a user to slide to unlock or universally search their device and internet. 3) It is all obvious. Every single piece of software ever written could be written by any other programmer of ordinary skill in the area of technology related to the software. The level of sophistication, abstraction, design, and elegance would vary, but given the same input nearly all competent software developers can accomplish whatever is asked. 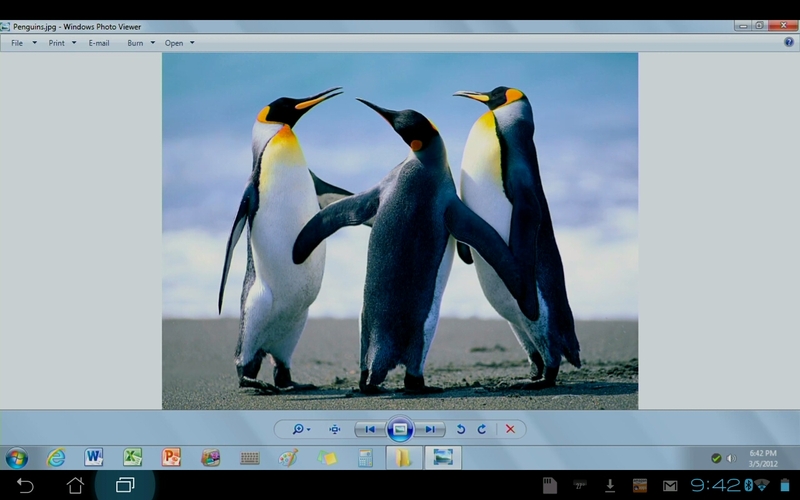 4) General Purpose Computing promotes the useful arts. Limiting their functions, development, deployments and sales does not. Any software designed to run on a general purpose computer should be free from patent infringement as by definition of its use it is promoting the useful arts. Banning the import and sale of a general computing device based on software it contains is as ludicrous as banning a book for the ideas expressed as to similar to previous works. Essentially, "You can't sell a dictionary, We already sell a dictionary." The implementation of an idea may be patented, but the idea may not. and yet, that is what I see in every software patent case I come across. 5) Software & Hardware development move at different time frames from each other and "real time". The current Patent grant of 20yrs is 4 to 10 lifetimes in the technology world. 5yrs is ancient in terms of hardware, The useful lifetime of a typical "novel' software innovation is limited by what it runs on and the constraints of the day. New interfaces, increases in computing power, memory capacity, easy networking and other improvements render old solutions unnecessary and obsolete sometimes in the time frame of months. In software we keep what we need, and incrementally improve it, but also cull out the cruft, thin out support for ancient hardware and disused protocols. Extended exclusivity of a certain function, feature or description implemented in software ensures it will never be useful to anyone but the patent holder, in other words the opposite of progressing the useful arts. 6) Patents have become weaponized. A competitive advantage can be gained by disrupting normal operations of your competitors with long, costly legal battles and filed injunctions across the globe (even when you have no actual hope in winning in the end). If you can afford it and they can't. If you can get a temporary ban, well, than that is even better for the bottom line. Patent abuse is as old as patents themselves. The modern equivalent is something far worse, far more destructive to actual innovation than any abuse seen before. 7) Only Congress has the power to affect the changes required to solve this problem. Fortunately many agree that there is a problem. The scope and severity is debated internally but many are of the opinion that something must be done and debates over possible solutions are occurring regularly. SCU put on a lovely conference about what can be done. Groklaw has a decent overview written by a thoughtful attendee. Pay attention and make your voice heard. Now if you will excuse me I have some useful arts that need promoting. 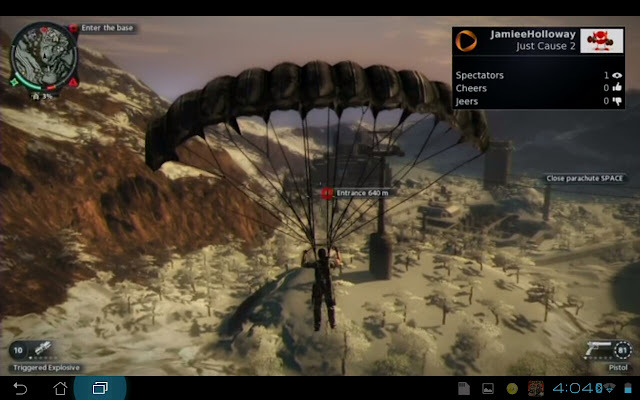 OnLive Desktop is an Android or iOS App that gives OnLive users their own Windows 7 machine in the cloud. 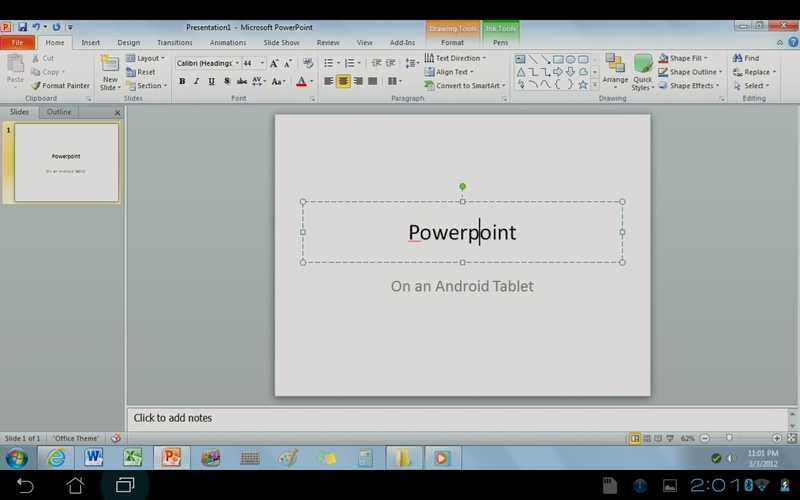 For free users have touch enabled desktop access, Microsoft Office, and some cloud storage. Why? Full versions of Microsoft Office that will render and edit your documents with perfect fidelity, if you are in to that sort of thing. 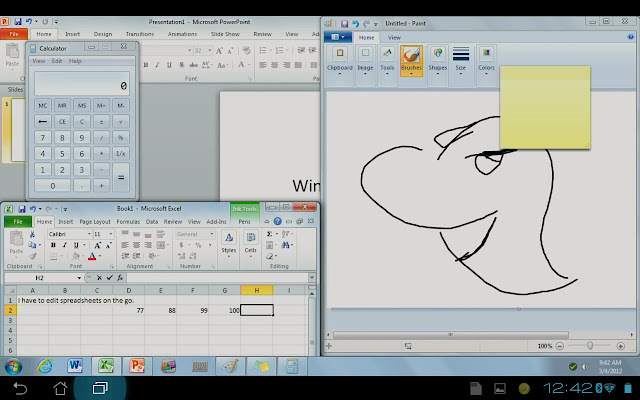 Also you'll be running a fresh clean Windows install, remember what that was like? If you want access to speedy flash enabled browsing on your tablet, or customized desktop, be prepared to shell out $5 a month. Might be worth it to you if your tablet has a fruit on it. Upon loading, the os syncs your Documents folder to your user account. 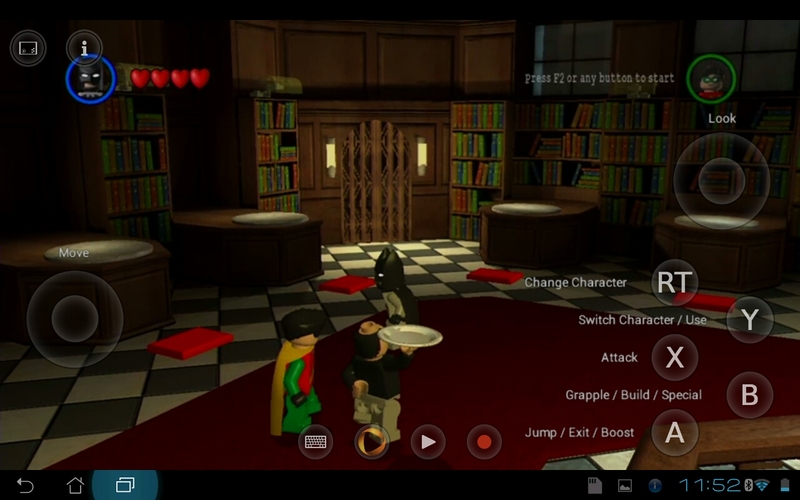 You can upload files and documents at files.onlive.com. Which would seem a fairly painless way to test cross platform websites during development on the go. 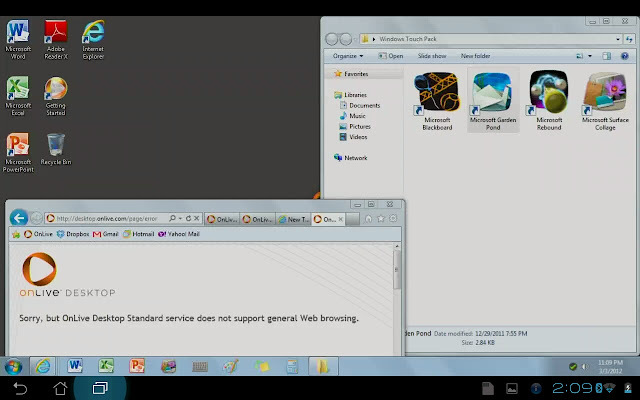 IE will let you browse local html files. It certainly less stressful than trying to run a vm on your hardware. Unfortunately running foreign exes is a no- no. So if running portable apps or testing your own is important, that will cost you 9.99 a month. Bummer, really wanted give Blender a spin. Plan details. Windows on a tablet is even less attractive proposition than Windows on a desktop. The technology is interesting, but with Windows as the only non enterprise consumer option, the appeal wears off rather quickly for this user. Something tells me OnLive Desktop could be an interesting tool for developer testing purposes, if the chains were loosened a bit. 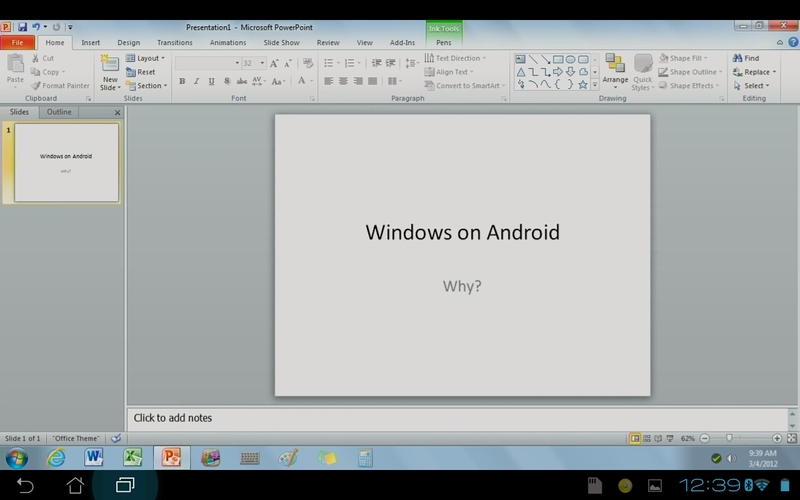 As it stands, stick with their gaming service which has the good sense to hide the Windows running underneath. 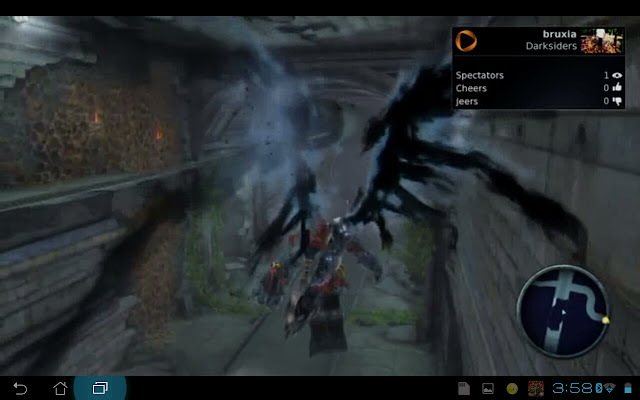 OnLive Cloud Gaming for Android, PC Gaming is Dead, Long Live PC Gaming. Abstraction is a prime mover of technology. Innovation gets all the press, but more often than not, that innovation is actually just abstracting away of existing technology. 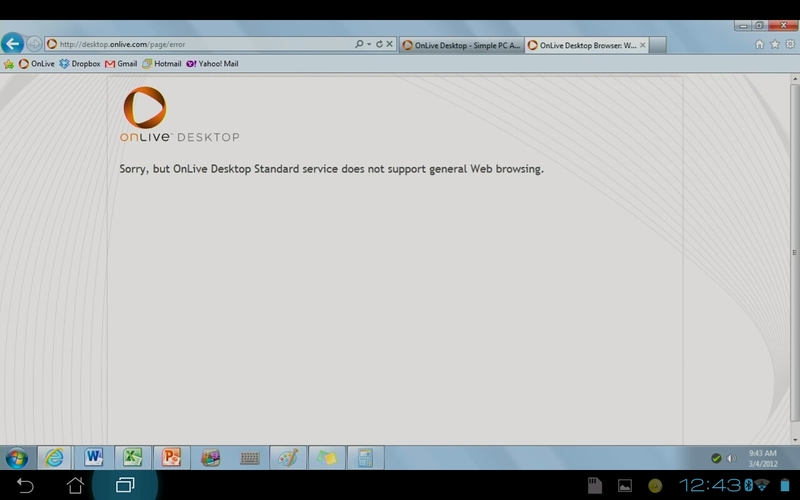 So it is with OnLive. In a sentence, OnLive is an instant on subscription service for streaming PC Gaming. The key abstraction here was to pull the hardware requirements away from the customer. 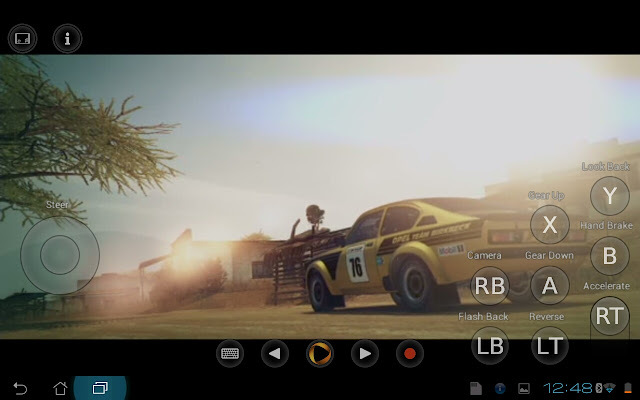 The client has the requisite screen, input and sound hardware, and OnLive has the hardware that runs the game, and the software to stream the game video and audio to your screen and speakers as well as carry your inputs back to your game. 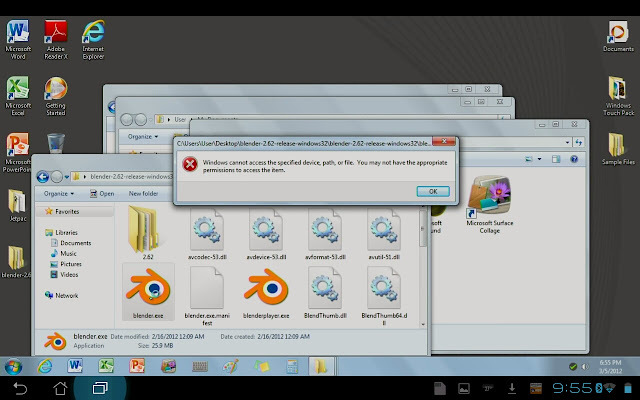 Similar to the way various remote desktop and vnc software works, but If you have used a vnc client, your first thought was probably "graphical performance will be hit or miss, laggy and highly unpredictable." That is where OnLive has spent its R&D dollars over the last few years. 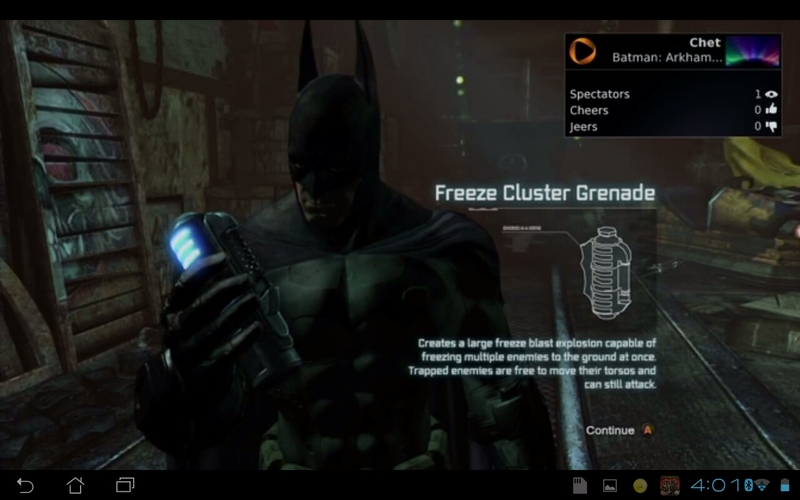 Compression and optimization, to allow multitudes of gamers access to a fairly sizable and eclectic library of pc games. 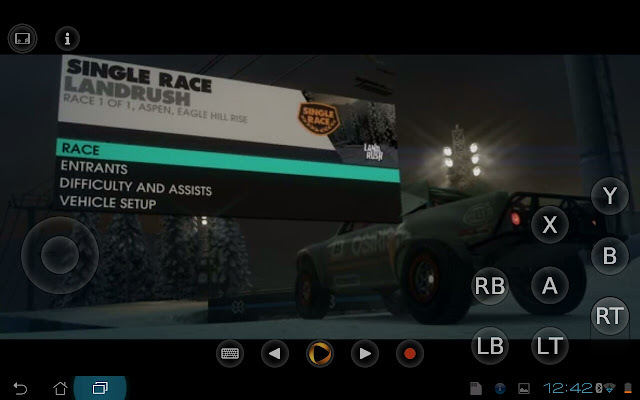 In addition to trailers and allowing users to become spectators and cheer or jeer the players for free, Onlive allows free timed trials of many games, a definite improvement over relying on reviews and boxart as your purchasing metric. 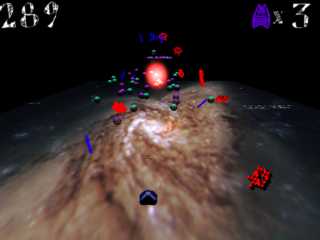 Users are given a chance to have or watch a real players experience and decide whether this is or is not your type of fun. Since they are just streaming the game to you, streaming the video to multiple clients needn't even require that much technical wizardry, It is highly impressive to use though. 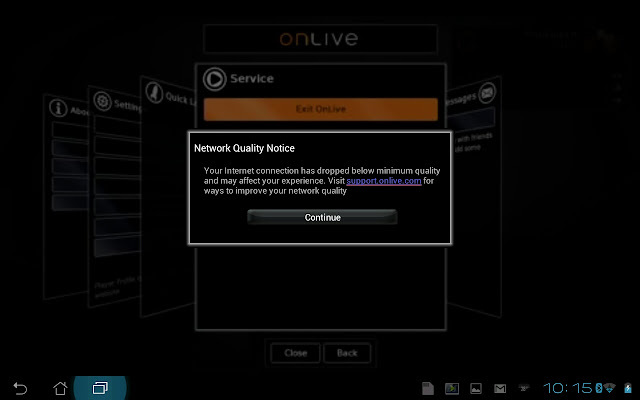 OnLive has either very deep pockets or very favorable developer licensing terms, probably both. A look at the breadth of content available and the various pricing levels shows a depth of target market strategy that is kind of brilliant. 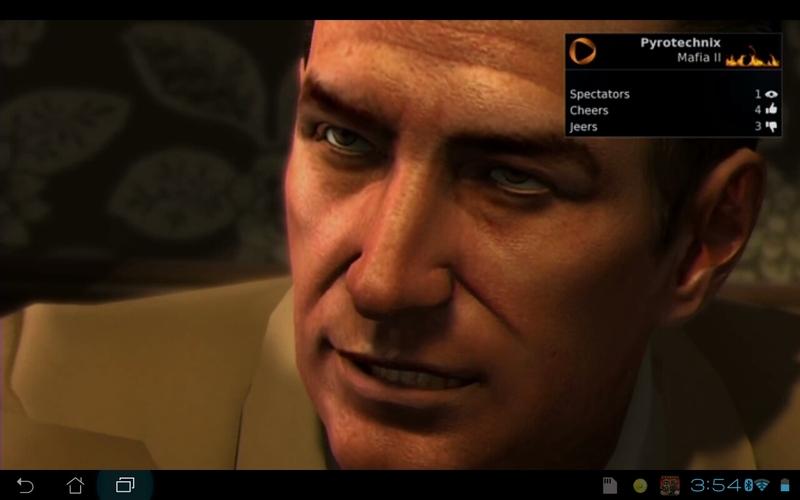 OnLive checks all the focus group boxes, no matter whether you are a Mac, PC, iPad or Android Gamer. None of the above, no problem, they sell a console or a seperate controller too. Subscription Gamer Netflix: 9.99 all you can game 150 game play pack. 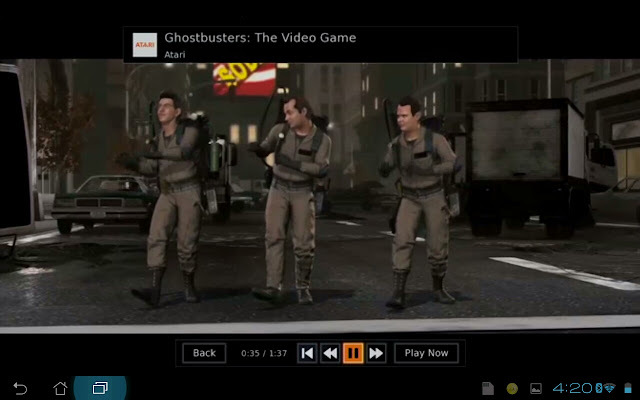 OnLive Play Pack gives you access to over 100 games pulling from every genre for about the price of 2 AAA games a year, $9.99 a month. Not bad if you have always on internet with a decent speed above 3Mbits recommended. You get 2 choices of Android client. 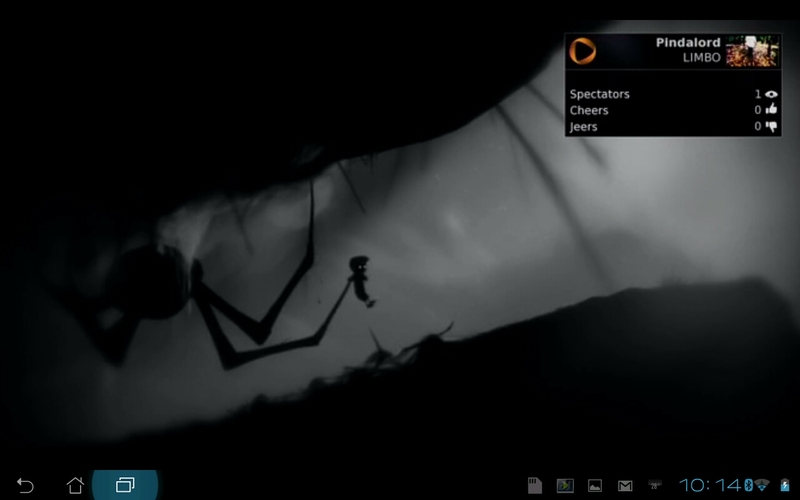 Spectator Only, works well on our Logitech Revue for a bit of gaming voyeurism on the big screen. 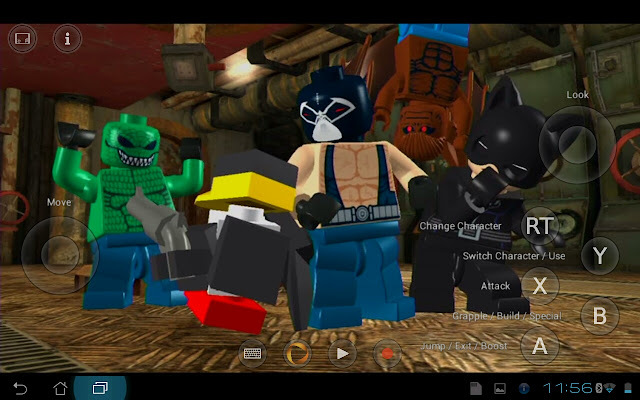 Fully compatible Android devices allow actual gamelplay. 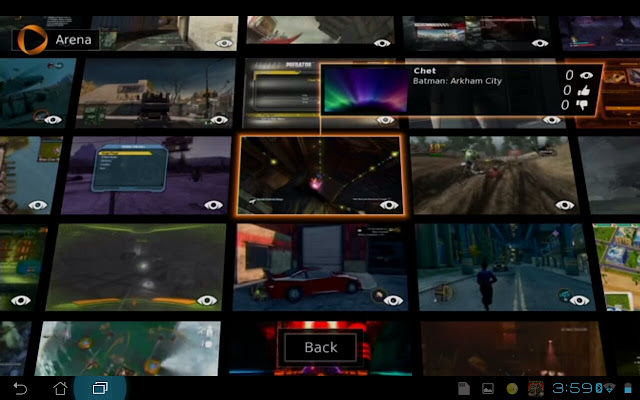 OnLive is quick to point out they are adding more tablets and phones to the fully compatible list everyday. While OnLive has customized some games to enable touch only controls, the majority require at least a mouse and keyboard. The android client is every bit as smooth as on the PC and Mac, same Ozymandias wall of screens showing live games you can drop in and out on to watch or play. Gameplay is surprisingly fluid and the visuals are frankly amazing. 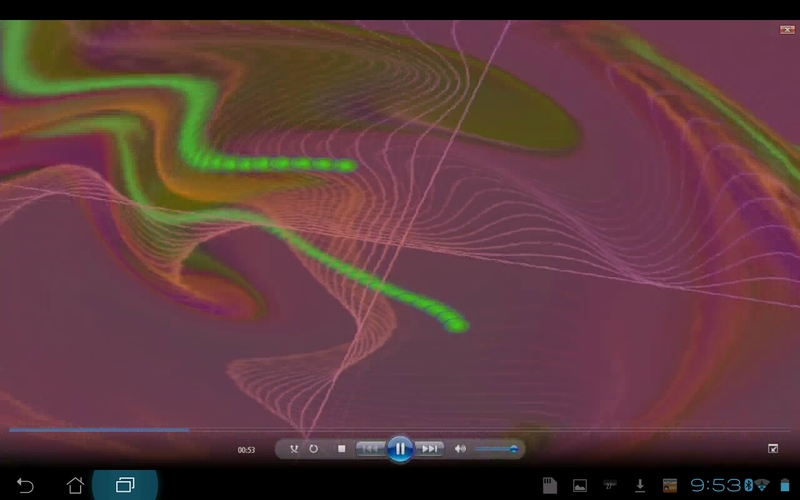 As long as you keep a good wifi signal, compression artifacts are hardly noticeable. Take a few steps outside your wi-fi zone and things get blocky, and you get warned before OnLive drops you out of the game completely. Find yourself a good internet connection, an OnLive client and have yourself a afternoon of gaming. Watch em, Try em, Buy em, Rent em, Subscribe em. 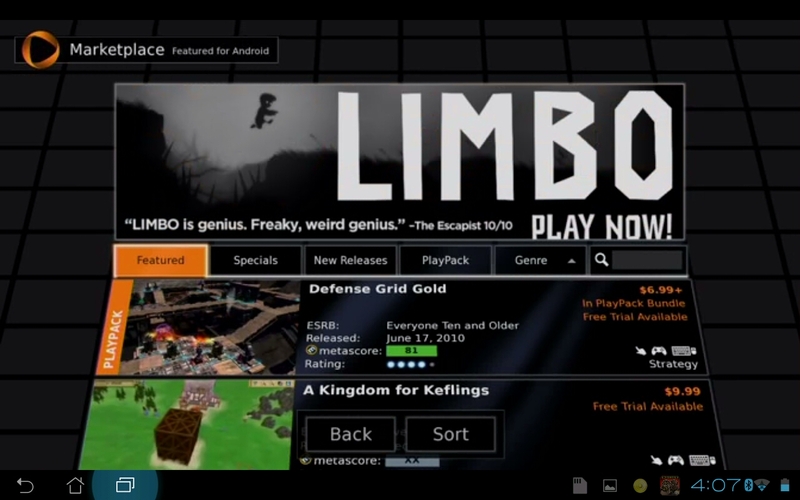 With a bit of manual Wine tweaking or the help of the linux gamer tool playonlinux, you can run the client on your Ubuntu box as well, checking off the last box, Console, Windows, Mac, Android and iOS, and Linux. PC Gaming is Dead, Long Live PC Gaming.